Now, I generally don’t like to get too heavy on here. Normally, when things get sad or depressing, I’ll just go quiet for a few weeks. Or, you know, spend a couple of hours aimlessly bashing Christina Aguilera. But it would be remiss of me if I didn’t take a second to mark the passing of my Grandfather, who sadly passed away last Thursday at the ripe old age of 91. I just flew back from Brisbane this morning after the funeral. I actually had to not only write a piece to speak at it, but was also given the responsibility of basically doing the eulogy, which was about one hundred million times harder than I could ever have imagined. How do you sum up 91 years of someone’s life? Especially when that person genuinely lived an amazing life filled with equal parts love and adventure, more than most people see anywhere outside of a movie theatre? Literally, until the night before, I was basically sitting at my computer paralyzed with nothing but the word Eulogizer running through my head over and over to the tune of Womanizer by Britney Spears. Seriously, I was like the midway point of The Shining, but without all the overacting. Because I’m actually really lucky. My Grandfather was a truly great man. He was a war hero. He and my Grandmother were also basically second parents to me growing up. Everything this man did since he conceived my mother in 1955 onwards plays the greatest part in who I am today and I’ve always been so incredibly grateful for that. And he really was just such a genuinely fine, decent, funny and kind man that I will always be so, so very proud of. For all of his 91 years, Colin Campbell experienced more of life than most of us could ever dream of in a million lifetimes. 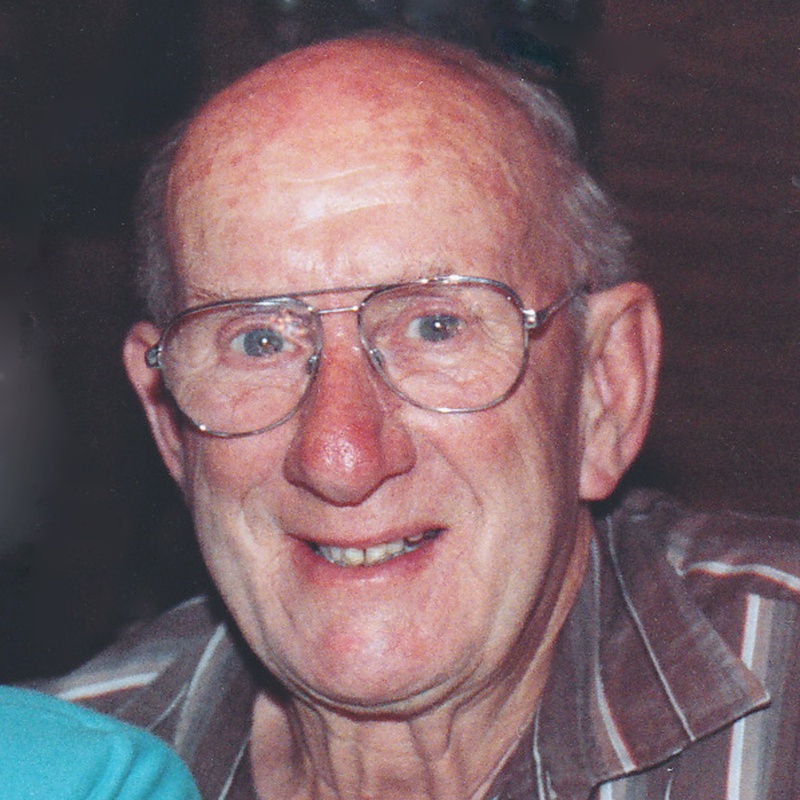 Born on 19th of March 1920 in the small town of Scottsdale, Tasmania, he lived through everything from The Great Depression to World War II, traveling the globe several times over and becoming not only a loving husband and father, but also a beloved grandparent and great grandparent. Through everything, he will first and foremost be remembered as a man who was always there for everyone and anyone who needed him. No matter whether it was to serve the nation or to help a neighbour, he was always the first man standing to lend a hand. Right from the age of 10, when the Depression hit, he was helping organize food collections after school with his Mother, working with local businesses to provide baked goods. When he was 20 he enlisted in the Airforce, serving as Sergeant Pilot in the 14th Squadron RAF. After discharging in 1946, he returned to working in the Insurance industry and moved from Hobart to Melbourne, before his eventual retirement in Brisbane. Throughout all of this, he was always an active participant in his community, serving as everything from a Church Elder, to the parents committees for his daughters schools and right through to all his years as the Secretary for Probus. An avid stamp collector, he also spent his lifetime corresponding with fellow enthusiasts all over the world building a truly impressive collection. He was also an accomplished golfer, winning many tournaments over the years. Even in spite of all of this, there was never any doubt to those who knew him that he considered his greatest achievement in life to be his four girls. From meeting his wife Margaret over 60 years ago right through to the very end, he lived for her and his three beloved daughters – Helen, Jenny and Fiona. In the same way he lived to serve his community and his country, he was devoted to his girls even more so. Very few people can say that they truly met the love of their life, but there was never any doubt to anyone who has ever met him that he had found his in Margaret. His devotion to her and his daughters is truly what he will be remembered most for. Colin Campbell – a kind and loving Husband, Father, Neighbour and Friend. I know it’s kind of odd, but this song always reminds me of both of my Grandparents and, in a lot of ways, is how I like to remember him and them. It’s actually loosely based on a true story of an elderly couple whose car breaks down on a highway en route to a family reunion, never to be seen again. In the four minutes below, they decide to get out of the car and just walk off into the horizon, starting a new life filled with happiness and zany adventures, content and finding fulfillment in having nothing but each other. It’s how I like to think my grandparents would be and how they were for all their lives together. It makes me really happy every time I hear it. ← 36 Pictures of Christina Aguilera Looking AWFUL!